Add a social media kiosk to any of our photo novelties. 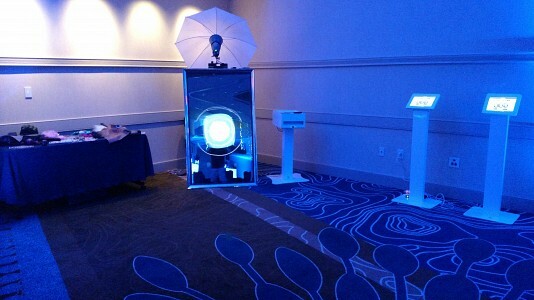 A social media kiosk gives your guests the ability to upload (Instagram, Twitter, Facebook, Pinterest, SMS, Email), share and print their photos, add logos and put filters on their photos, and even select green screen backdrops – all from a kiosk a few feet from the booth. Add multiple kiosks for larger events. Each kiosk consist of a tablet computer, and elegant stand.